In this week’s blog, Archivist Louise goes back to class…. Archivists come in all shapes and sizes (literally and metaphorically!) and from a variety of different backgrounds, but those working in professional posts during the last few years have one thing in common: a vocational qualification in record-keeping from one of seven recognised institutions in the UK and Ireland. One of these qualifications is based at the Humanities Advanced Technologies and Information Institute (HATII) at the University of Glasgow, and it’s where three of the four archivists in LHSA trained. Therefore, when tutor Victoria Stobo asked Project Cataloguing Archivist Becky and I to speak to her students about the way in which we deal with confidential data in our everyday work, we were delighted, although we knew that (as ex-students) it would feel a little strange to be speaking from the other side of the classroom! Our role as archivists is all about access, but we need to give that access whilst protecting those people around whom the archive is built, and both our talks reflected how we do that in our different fields of work. As archivist, most of my work with confidential data is around user services – helping our enquirers with questions about records closed to general public access. By ‘confidential data’, I mean material that is covered by either legislation that covers information about living individuals (i.e. the Data Protection Act) or NHS guidance that protects the patient and staff records of those now deceased. Since we are one of the largest medical archives in the UK, holding over one million patient case notes, I deal with questions about closed archives regularly. Many people assume that records marked as ‘closed’ are beyond all access, but that is not necessarily the case. You are entitled to access any health information that LHSA may hold about you under the Data Protection Act (1998), for example, as long as you can prove your identity. 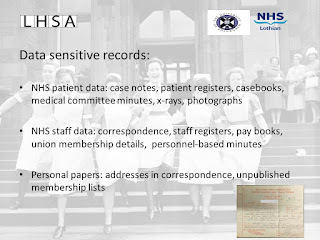 We can also apply to the owners of our records, NHS Lothian, for enquirers to see closed records about other people if they can prove that they have a legitimate reason for wanting to see them, along with proof that the record subject has given consent if s/he is living, or that the enquirer can prove the record subject is deceased. In our experience, people want to look at confidential material for two main reasons – either as researchers going through a large number of records, for whom the identity of individuals is not their main interest, and genealogists or other interested family members for whom identity of a person is central. 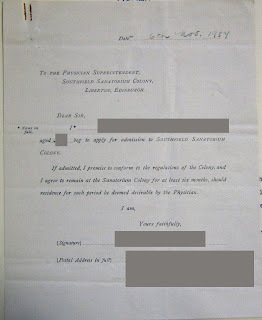 We treat access to otherwise closed records very seriously, and I explained to the students that applying to see a closed record is far from a ‘rubber stamp’, but a considered process. I also went through the measures that we take to keep confidential information secure if an enquirer (such as an academic researcher in the reading room) is allowed to see a closed record. When I first started my role as archivist, dealing with access to closed records was intimidating to say the least, but (as I explained to the students) working with legislation about access to records is an essential part of my role and soon became a lot less terrifying and a lot more intriguing! One of my favourite things about my research with closed records is that I work with people much closer to the record subject (even the record subject themselves) – this compression of time is a sharp reminder of the fact that names recorded in our archive are not just entries in registers but individuals with their own histories that led them here. 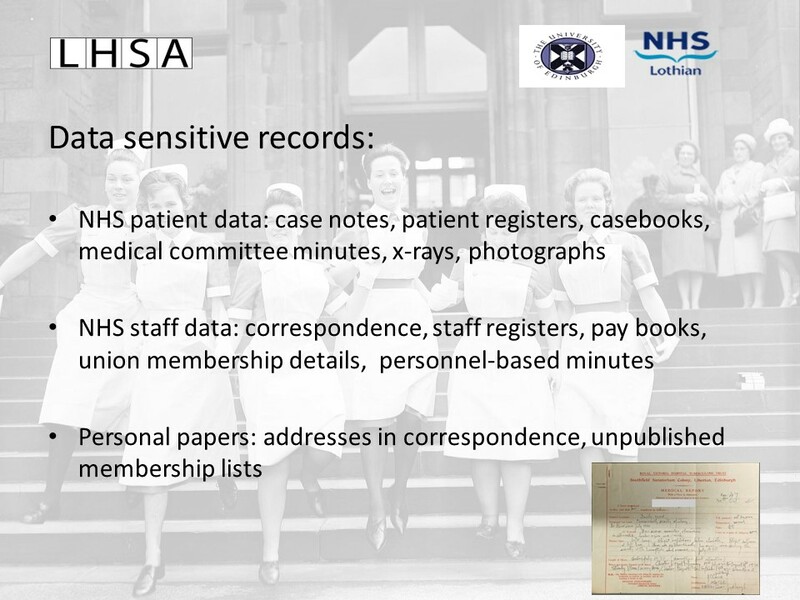 Becky’s role at LHSA is also about access to closed records, but in terms of the description of those records. 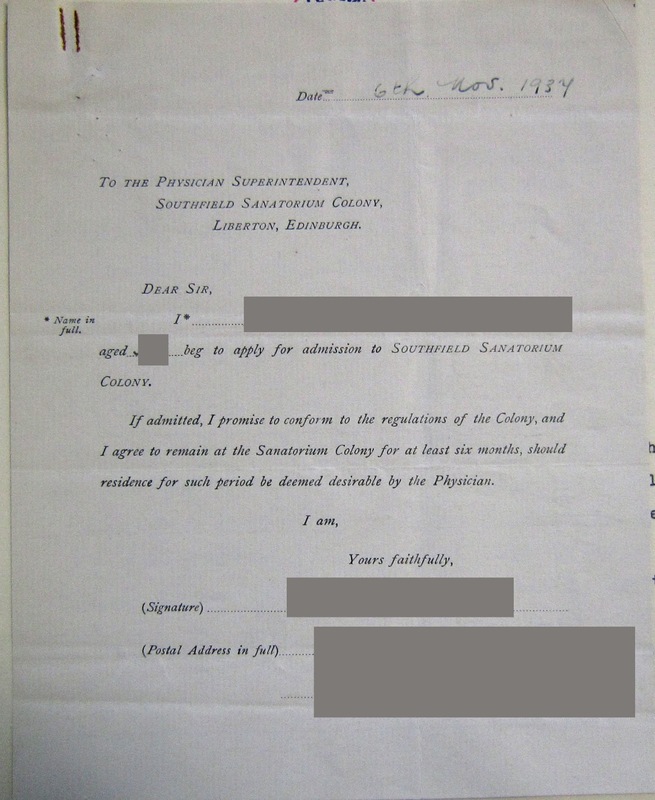 As you know from last week’s blog, Becky is cataloguing tuberculosis case notes in order to give researchers an intellectual way in to these mostly-closed records. Becky catalogues using eXtensible Mark-up Language (XML) in order that she can both highlight key elements of cases for search and hide parts of the description in a public, online catalogue so that the identities of patients stay private. 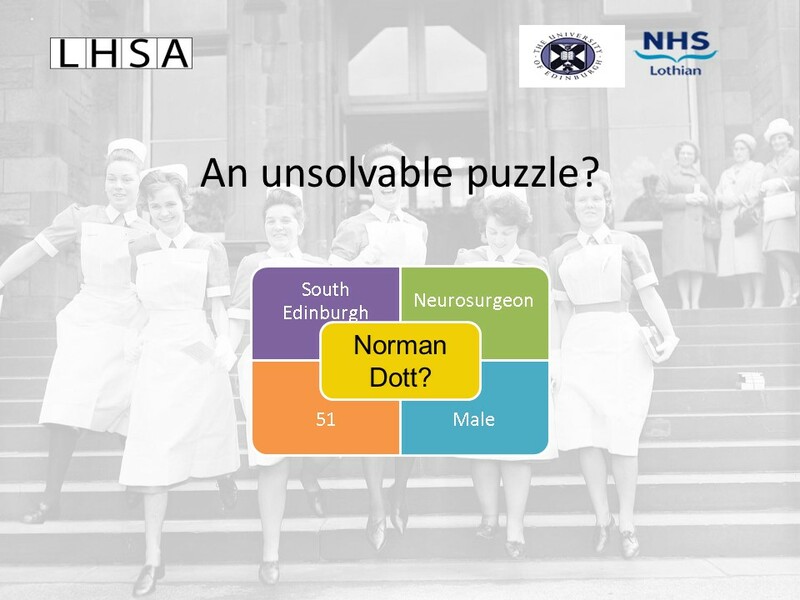 As Becky explained, her project (in common with Aline’s work on Norman Dott’s neurosurgical case notes) is designed to give researchers a guide to what these under-used records convey in order to realise their potential as academic (and genealogical and clinical) resources. We got more than a few questions from the aspiring archivists and records managers following our talk – and it was interesting to see what aspects of our work were of most interest to the students. All-in-all, an extremely successful morning – and nice to revisit our former course (although without the assignment deadlines, obviously!). It’s been a while since I wrote about the TB project for the blog, but work is progressing well (I’ve catalogued over 4000 case notes! 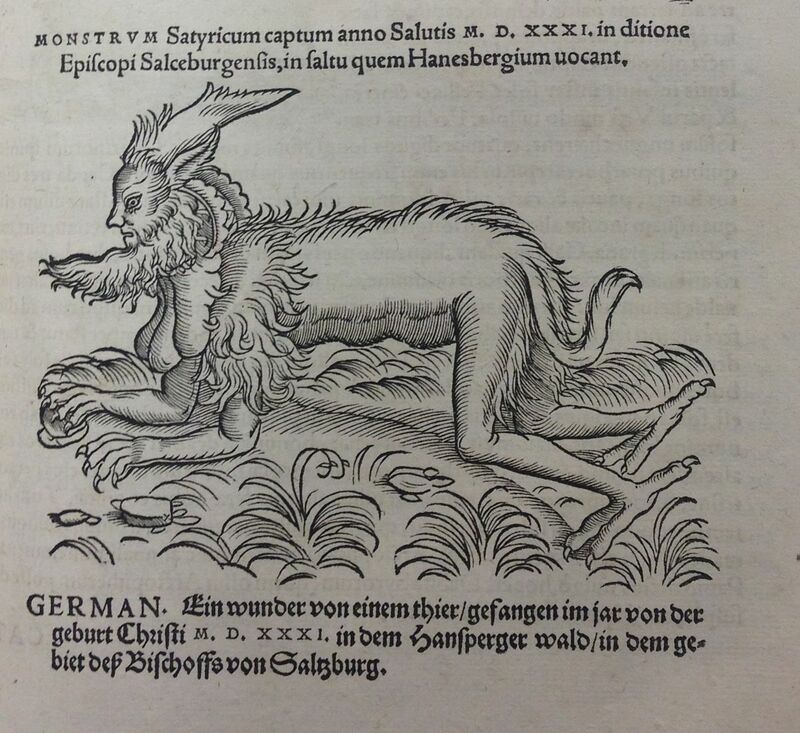 ), and a lot of fascinating stories have been uncovered. The first series of case notes from Southfield Sanatorium has been catalogued in full, and I wanted to take this opportunity to share some of what the case notes have taught me about this institution. Southfield Sanatorium was an inpatient facility which took patients for a minimum stay of six months. Patients were selected based on the likelihood of recovery, so that only patients who were likely to improve were allowed entry to the institution. 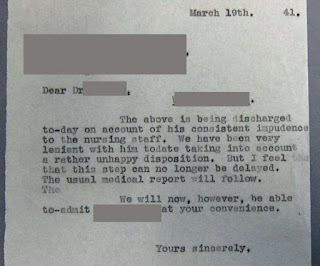 ﻿The sanatorium was oversubscribed, and much of the correspondence included with the case notes refers to the length of the waiting list, and the prioritising of patients on it. The pressure on beds and the nature of the treatment meant that discipline was strict, and patients were removed for breaking the rules. Several patients also left early, against medical advice, due to homesickness or the unpalatability of the regime. In the days before the NHS, treatment at Southfield had to be paid for, at a rate of around £2 10/- a week (equivalent to around £90 today – and for at least six months!). 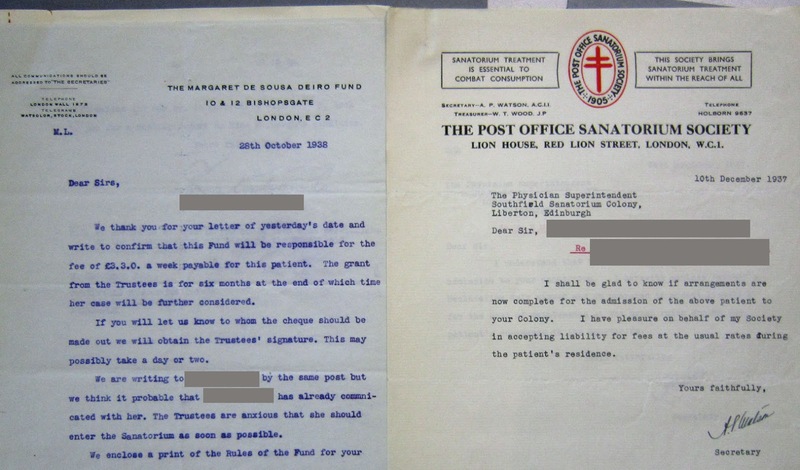 Local authorities were obliged to provide sanatorium treatment, so patients from other parts of Scotland would be sent to Southfield for treatment. Other organisations could also pay - usually for their subscribers, for people who worked in certain professions, or for charitable cases. Some patients attended Southfield privately, paying up to £3 3/- a week (over £100 in today’s money) according to their means, but the medical directors and Almoners would often arrange to reduce fees for those who were unable to afford it. Even with these support mechanisms in place, TB could prove a costly diagnosis. The treatment provided was in line with that provided elsewhere; chiefly bed rest and gradual exercise, with the occasional surgery for patients for whom it was deemed suitable. 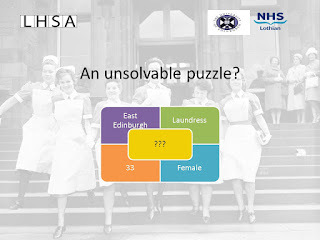 Southfield itself didn’t have a large provision of surgical services, so anything more complicated than a simple artificial pneumothorax (the surgical collapse of a lung) would be performed at one of Edinburgh’s other hospitals. Southfield also provided non-surgical treatment such as old tuberculin and sanocrysin; controversial treatments even at the time due to the lack of evidence in their favour. This may not sound like an impressive treatment regime now, but in the days before effective antibiotics it was the best that could be done, and most patients did recover – though it should be remembered that their good prognosis was why they were sent to Southfield in the first place. The information in this post has been taken almost entirely from the case notes themselves. Seeing the case notes as a unit like this gives one a unique insight into the routine of sanatorium administration and treatment, a real sense of the hard work which went into obtaining treatment for people with such a delicate and difficult diagnosis, and a renewed appreciation for both antibiotics and the NHS! This is just a very small amount of the information which the case notes contain – there are many more stories which I’ve uncovered, and many many more case notes to catalogue! It has been one month and a half since I started cataloguing the Norman Dott case notes as a Project Cataloguing Archivist, and I am happy to say that I reached my 1000th case note last week. Cataloguing never gets tedious or repetitive, because every case note is different, and every life story is fascinating. However, some conditions are more recurrent than others, and today I would like to expand a bit more on the treatment and effects of head injuries. As a pioneer in neurosurgery, the treatment of head injuries was important for Norman Dott. For example, we know he assiduously attended meetings of the Brain Injuries Committee set up in 1940 by the Medical Research Council, and participated actively in the formulation of the committee’s recommendations for treatment and management of head injuries. During World War 2, he set up the Bangour Brain Injuries Unit, where service members and civilians were treated during the war. According to a paper produced by Norman Dott’s team in 1942, two third of the cases treated at the Brain Injuries Unit were mechanical injuries of the brain, and one third were injuries to the brain by disease. Not only would patients receive the highest standards of operative care of the acute head injury, but they would also receive extensive post-operative rehabilitation services, that is to say occupational therapy, speech therapy, physiotherapy, etc. Indeed, Norman Dott had always been close to his patients, connecting with them on a personal level and doing everything he could to help them to reintegrate into society. Bangour Hospital would be the site of operation, then patients would be transferred to the Royal Infirmary of Edinburgh for post-operative care and rehabilitation. After the war, roles were reversed: patients would undergo surgery at the Ward 20 of the Department of Surgical Neurology at RIE and convalesce at Bangour Hospital. Norman Dott himself admitted that he had learnt much from each case at Bangour Brain Injury Unit, which enabled him to cope with the increasing amount of road accident victims in the 50s. Ward 20 was in operation twenty-four hours a day, seven days a week, and although toward the end of his career Norman Dott didn’t personally perform the demanding operations on head injuries, he was always available for help and advice. Photograph of a nurse preparing anaesthetic in the operating theatre in Ward 20 of the Royal Infirmary of Edinburgh, 1943. The case notes I have been cataloguing date from the late 50s and reflect perfectly these facts. I have come across all kinds of head traumas, ranging from very mild to fatal. Work accidents – particularly in mine pits – and, indeed, car crashes seemed to be among the primary causes of serious head injuries, which could lead to intracranial haemorrhages and in particular subdural and extradural haematomas. These conditions often required surgery and very quick action: in one case note, Norman Dott regrets that the patient, a young man who did not survive a car crash, was not brought earlier to his unit because he could have been saved if the operation had been performed one or two hours earlier. Head injuries could also lead to brain oedemas and cerebral abscesses, which were often life-threatening. Naturally, many head injuries weren't as serious, although sometimes the effects could still be felt years later. These effects, grouped under the name of “post-concussional syndrome”, could include headaches, dizziness, nausea and vomiting, memory impairment, post-traumatic anxiety, vision disorders, and personality changes (irritability, euphoria, apathy…). These disturbances could be chronic or permanent; they could be immediate or appear after a few hours, even after several years. It is particularly the case for post-traumatic epilepsy; in many a case, Norman Dott links the appearance of epileptic manifestations to a head injury that happened years earlier and that seemed to be completely innocuous at the time. This kind of case makes us understand why the past medical history of each patient is recorded in such great detail in most case notes. For some unfortunate patients effects would be incurable, however Norman Dott was very eager to alleviate these patients’ suffering and reduce their disabilities, which is why he always put such an emphasis on rehabilitation. He was also very keen on following up his patients, asking for news to their family doctors and conscientiously replying to every letter he received. 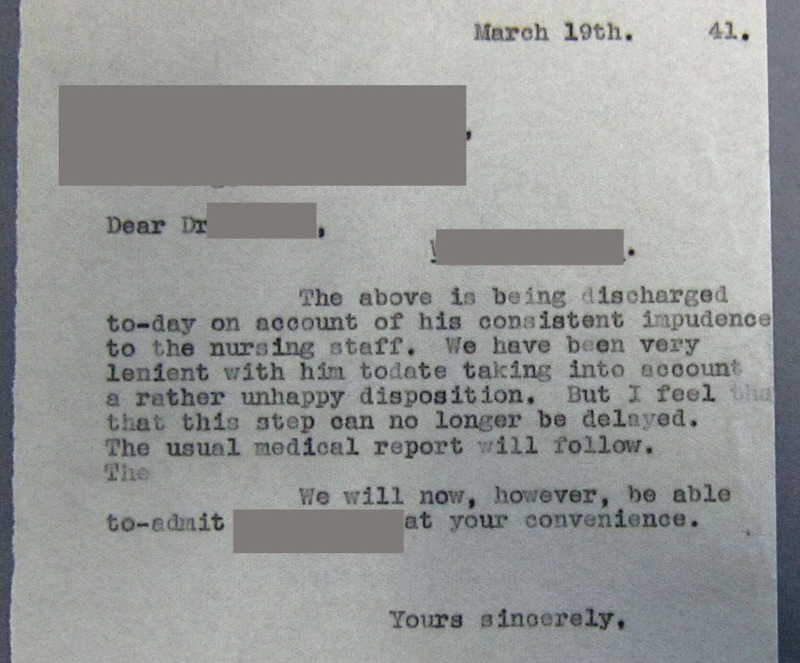 In my opinion, this is why the Norman Dott case notes are such a fascinating collection: not only are all the technical summaries and charts they contain very useful for medical history and medical research, but the many letters, postcards and notes also give us a great insight into the patients’ relationships with Norman Dott, the man who changed their lives. Rush, C., and Shaw, J. (1990) With Sharp Compassion, Aberdeen: Aberdeen University Press, p. 165-173. ‘The Importance of Psychiatric and Psychologic Assessment in the Management and Disposal of Organic Brain Damage’, paper read by Norman Dott to the summer meeting of the Society of British Neurological Surgeons in London on 1 August 1942. Back in February, we teamed up with our colleagues in the Centre for Research Collections to take part in Innovative Learning Week, a University-wide festival aimed at inspiring and celebrating creative learning. As this year’s festival had the central theme of ‘Ideas in Play’, we thought it was necessary to call in the experts: play specialists from the Royal Hospital for Sick Children! The session was called 'Fun on Prescription', and the aim to create entertaining, distracting and educational activities for children in hospital by using materials held at the Centre for Research Collections. Specialists use play in hospitals for a whole range of reasons, such as helping a child become familiar in their new surroundings or to aid them in making friends with other children on the ward. Furthermore, games and activities also reinforce the motto of the Sick Kids Friends Foundation – that young people in hospital are children first and patients second. Once the students had got to grips with the requirement and had a good look at the collection items, it was up to them to brainstorm ideas and split into teams to work out the finer points of would take their activity from an idea to a reality. As they study subjects from a variety of different disciplines – such as education, electronics and graphic design – they had a lot of ideas to choose from! Group One plumped for making ‘story cubes’ - large die with images from the collections on each face to guide and inspire story-telling, while Group Two developed a ‘choose your own adventure’ activity based on the chilling tale of Lady Grange, the ‘prisoner of St Kilda’. 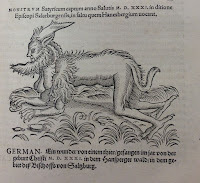 Group Three opted to compile a book of jokes based on humorous sixteenth-century tales, and Group Four went for a more visual activity with a ‘build your own monster’ game. Innovative Learning Week was all about inspiring creative approaches to learning. Not only did the student participants see the ‘dusty tomes’ in of the University’s archives in a new light, but they also got an insight into how they could be put to new use and create fun and engaging activities. We only hope the children of the RHSC have as much fun using the resources as we did making them!